Most CEOs and management teams build their business around product. But market leaders know they must build their business around brand. 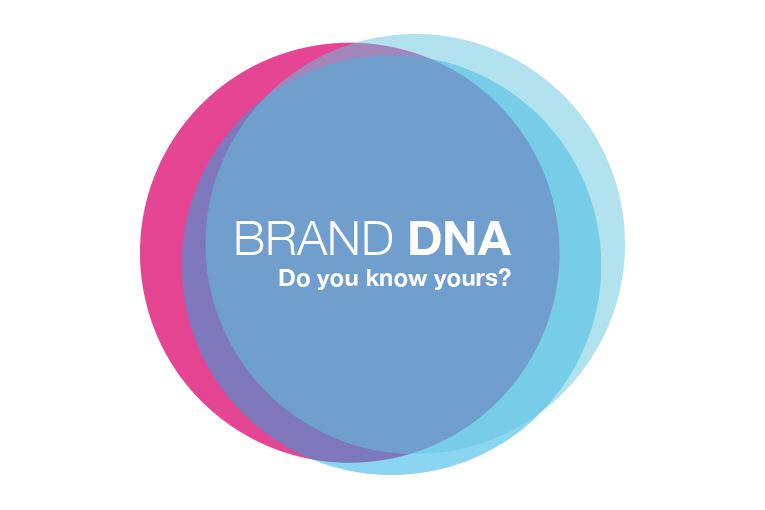 Defining your brand DNA is vitally important. Without it, it's virtually impossible to grow your business. Moreover, if people at the heart of your organisation don't understand your brand, they will struggle to deliver the brand’s true passion, purpose and vision to your customers. There are several key ingredients for defining brand DNA that you can implement to ensure your business stands out from the crowd. Here are eight points that will help you to identify the key differentiators that will separate your business from your rivals. Firstly, you need to be able to understand, evaluate and assess your business in its entirety. Only when you have a true understanding of how your organisation functions from top to bottom can you begin to comprehend how it joins together to create one message. Of critical importance when starting out is to understand your market. Are you able to identify gaps where your brand could flourish? This should then be reflected in your key brand messaging. It will also enable staff, customers and clients to understand the core values of the business. When coaching young entrepreneurs, I'm often asked how successful businesses make such an impact. Put simply, a profitable company is one that can articulate succinctly and powerfully what it is and what it isn't. Successful companies use differentiators to understand and communicate their unique selling points to staff, shareholders, customers, and to their rivals. By adopting this approach they gain a huge advantage over their competitors as they already have established in their minds what they want to be known for and how they want their clients to feel. Outstanding companies do not expend unnecessary energy searching for their customers. They already know who they are and concentrate their efforts instead in engaging and interacting with their customers. Focusing on the customer means that they can identify and eliminate frictions. They can also spend time interacting with them in a positive way. Another central plank in defining your brand DNA is to know you long term plan. What is it? How will you deliver it? And, most importantly, how will you know when you've succeeded from both a commercial and a cultural point of view? Do you have a set structure in place to measure success and chart continuous improvement for example? You cannot define your brand until your staff, your backers and your customers understand your story and really believe it. You can start to do this by applying the following five questions to your business. If you know the answers to 'who', 'what', 'why', 'when', and 'where', then the skeleton of the story is already written. 7) What types of people are creating brands today? These are the people who run companies in the early stages of business growth. These are people that have a mature brand, where the company has failed to continue to invest. As a result, the once famous brand is in stasis and needs a facelift to restore it to its former glory. These are some of the most innovative businessmen and women in the world today. They constantly refresh their brand to give them an edge over their competitors. The companies that they work for might be market leaders already. Or their people simply understand the value in allocating regular funding to refresh their brands and associated tools. People commonly invest in a brand at some point. Traditionally they make an initial investment when their businesses are worth UK£ 1 million. Curiously, research shows that the majority don’t think to reinvest until the revenue levels in their companies exceeds UK£ 10 million. This pattern of ‘build then run-out, rebuild, run-out…’ comes at an enormous price as the cost of renovating and rebuilding a brand is huge. Therefore, I always encourage people to become ‘refreshers’ by consistently and continually investing in their brand, rather than relying on renovation. The process of 'refreshing' costs a lot less and the Return On Investment (ROI) is much higher.